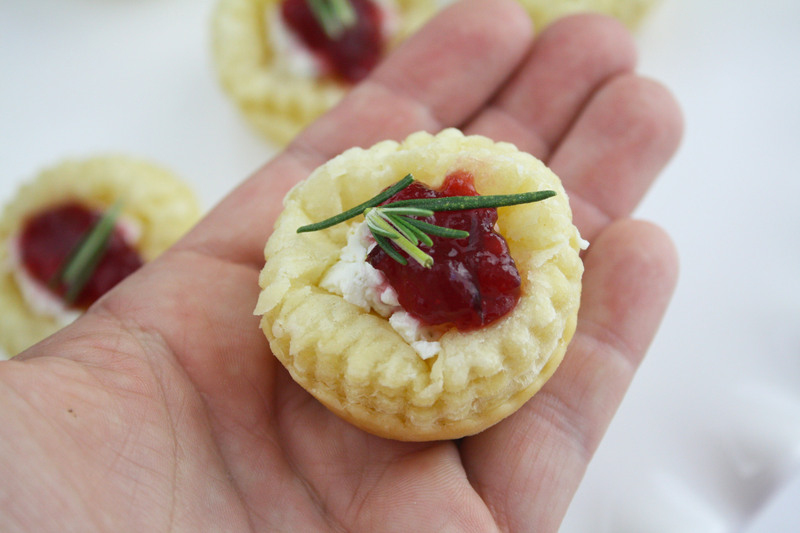 If you need a quick and easy appetizer for your upcoming New Year's Eve parties, check out this delicious puff pastry cranberry herb cheese bites recipe. They're flaky, tangy, creamy, buttery with a touch of sweetness. Your guests will love them! Allow the puff pastry to sit at room temperature until you can unroll on a floured surface. Cut out circles using a cookie cutter that are slightly larger than the mini muffin cavities. Press the circles into each lightly greased muffin cavity. Press the dough against the edges. 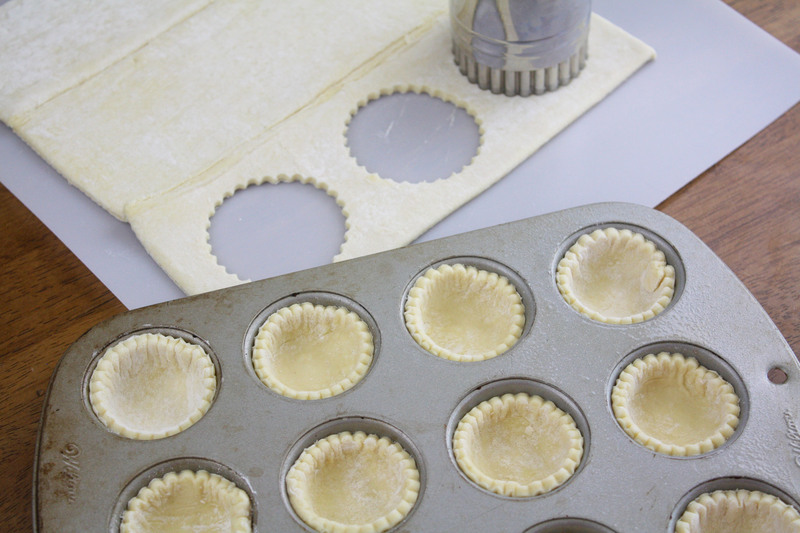 Bake the puff pastry shells at 425 ℉ for 8-10 minutes. Keep a close watch so that they do not burn. 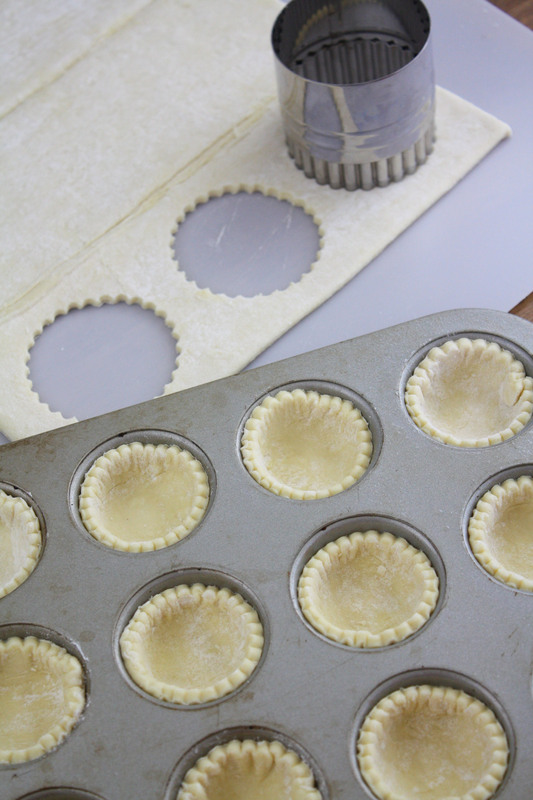 Remove shells from oven and press down the center to make your mini pastry cups. Let shells cool. 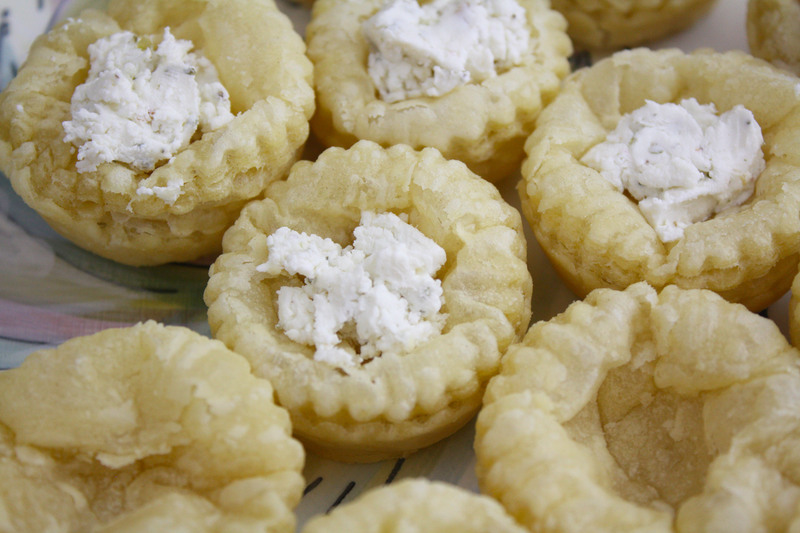 Fill each flakey pastry cup with herb goat cheese or a creamy brie cheese. 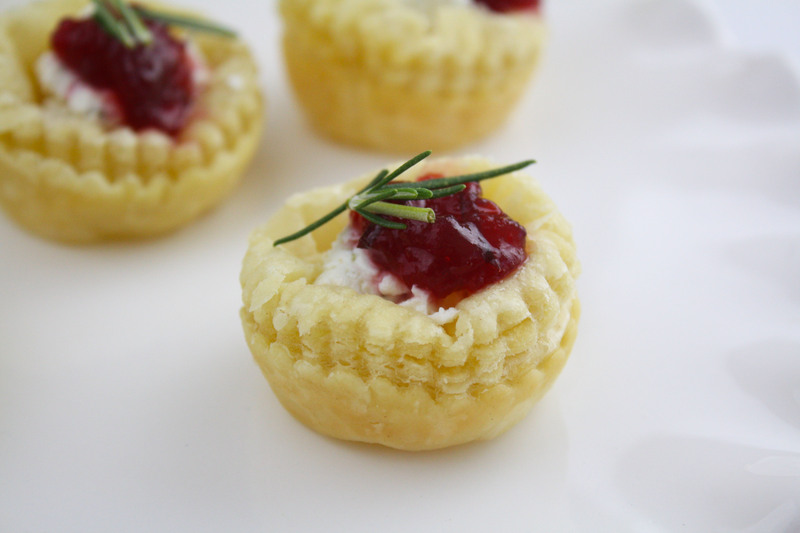 Top each shell with fresh or canned cranberry sauce and a sprig of rosemary. Top each shell with fresh or canned cranberry sauce and a sprig of rosemary. Don't you want to pop one in your mouth right now?! This delicious recipe was created by our style contributor, Shauna at Ella and Annie. Check out her work on her blog and on Instagram, Facebook, Pinterest, and Twitter. wow, this recipe looks so yummy. I can't wait to try this as soon as possible. I just loved it. It's really amazing. Thanks for sharing such a nice recipe with us. Waiting for your future posts.